The Salmon is hot smoked in the traditional style of kippered salmon. The spices, herbs, mayonnaise, and sour cream combine wonderfully to bring out the natural flavors of the salmon. 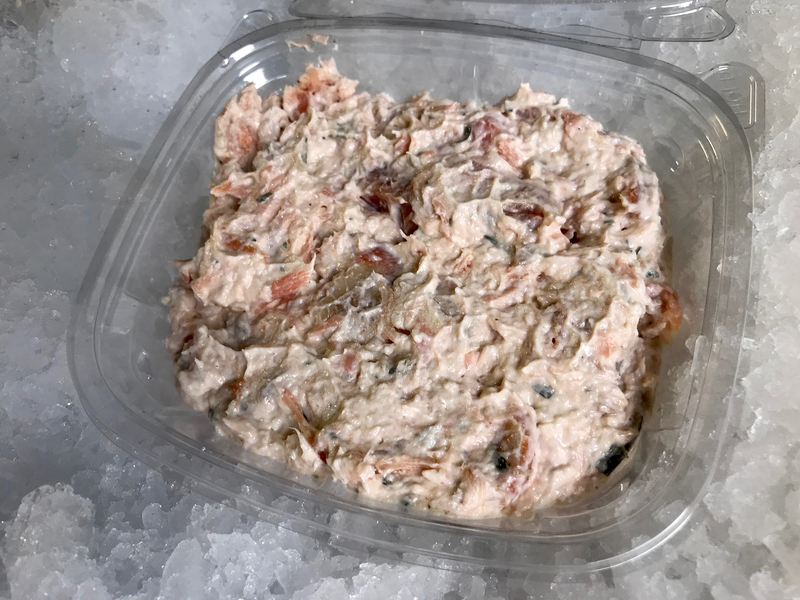 Our salmon salad or salmon dip (depending on where you are from) uses the highest quality hand picked Chilean salmon. The Salmon is hot smoked in the traditional style of kippered salmon. The spices, herbs, mayonnaise, and sour cream combine wonderfully to bring out the natural flavors of the salmon. 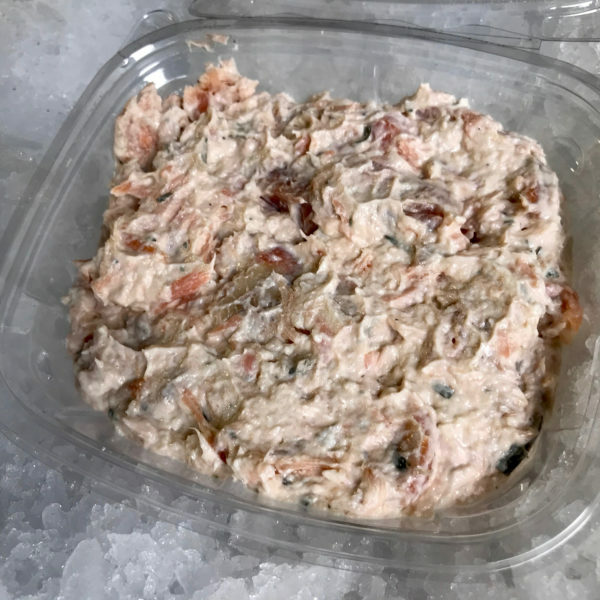 Great to use as dip with any bread or cracker, or put on a bagel for a perfect brunch. Overnight Shipping Included. Buy big and save! Our fish salads are made by hand in-house, and we do not recommend freezing them. Also OU Kosher.